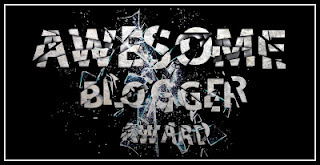 Awesome Blogger Award, Who Me? 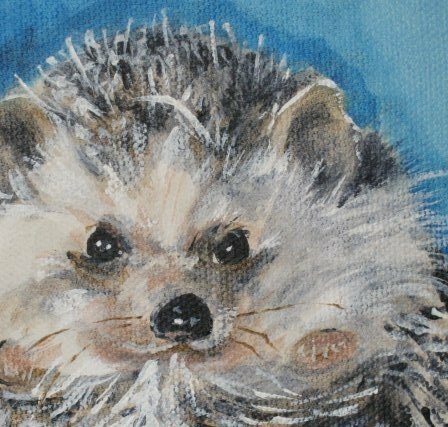 I did not discover I can draw and paint until I was 39 years old. For grins and giggles, I took one of those “So You Think You Can’t Draw But You Really Can” classes at a local private college. The instructor put an apple on the table. I drew it. She said, “What are you doing here? You can really draw.” I dunno, maybe I just never wanted to draw an apple before? I haven’t picked up pen or pastel in two years, but you can see a little of my art in my Facebook photo album, “My fav is the BLUE CRAYON.” I miss creating art desperately, and it’s high on my priorities to get back to it soon. I was Captain of the High I.Q. team in high school. I loved slamming that buzzer. I think this makes me a contender for Queen of the Nerds. Last year I planted mint in front of my town home. Over the exceptionally rainy, warm winter, it escaped its pot, and as mint is known to do, is creeping everywhere, including over into my neighbor’s front yard. It smells so good and is so lovely, I don’t have the heart to pull the trespassing mint up yet. I’ll wait ’til she notices. I sort of have a history of plant fraud. My prior neighbor, known for being a bit tipply on a regular basis, called me once to ask if a beautiful tea rose bush in front of our homes was mine, because she wanted to pull it up. I said it was. I lied. I love reading glasses, especially unusual, artsy ones. I have reading glasses everywhere, in all the rooms of my house, at my office, and in my car. I resisted bifocals for so long, to the point I’d sometimes wear a pair of reading glasses over my regular glasses, you know, double-glass it. Very lovely. Not. I’m pretty sure I’m now First Runner Up for Queen of the Nerds. From approximately seven years of age to….well, I don’t want to admit how long…I genuinely believed I was going to marry Mr. Spock (Leonard Nimoy as the hottest Vulcan off the planet, of course). I think I’ve definitely got Queen of the Nerds in the bag now. Thanks, Robin, this was fun!